Wedding Catering in Memphis by A Moveable Feast. 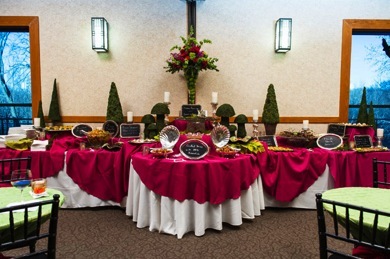 Since every wedding is unique, we custom build our wedding catering menus to meet your needs. We have a wide range of menu items for you to choose from. We will work with you and your budget to create the perfect catered menu with a fabulous presentation. You are not limited to what is on our menus. If you have a favorite family recipe or have seen something on TV, we can recreate those items for you.